Holiday season is just around the corner with a cool breeze and chilly weather. 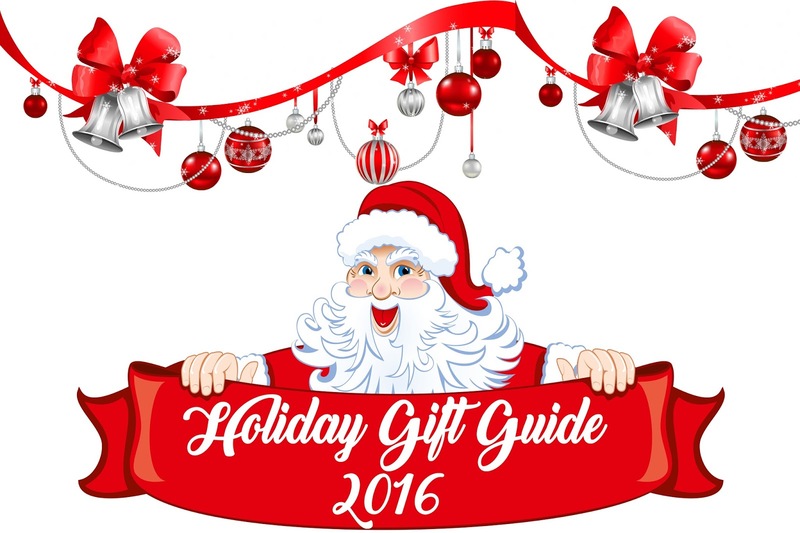 Therefore, finding the perfect gift can be tricky--but it doesn't have to be expensive!!! These thoughtful gifts make the perfect stocking stuffers for anyone on your list.There's something for everyone -- and no matter which gift you choose, it'll cost you less than $100! How amazing that is 😍😍!! As a Sigma Beauty Affiliate, I will receive a small credit if you make a purchase by clicking on one of my links here. If you are looking for more ideas, please consider browsing Sigma Beauty official website through this link. This is one small way that I support the work of this blog. Thank you! GINGERBABE LIP SET - features three opaque lip glosses in easy-to-wear, highly pigmented colors that can take your look from day to night. Get the full coverage of lipstick with the moisturizing feel of a lip gloss. This tremendous trio is the gift that's easy to give (or keep for yourself)! 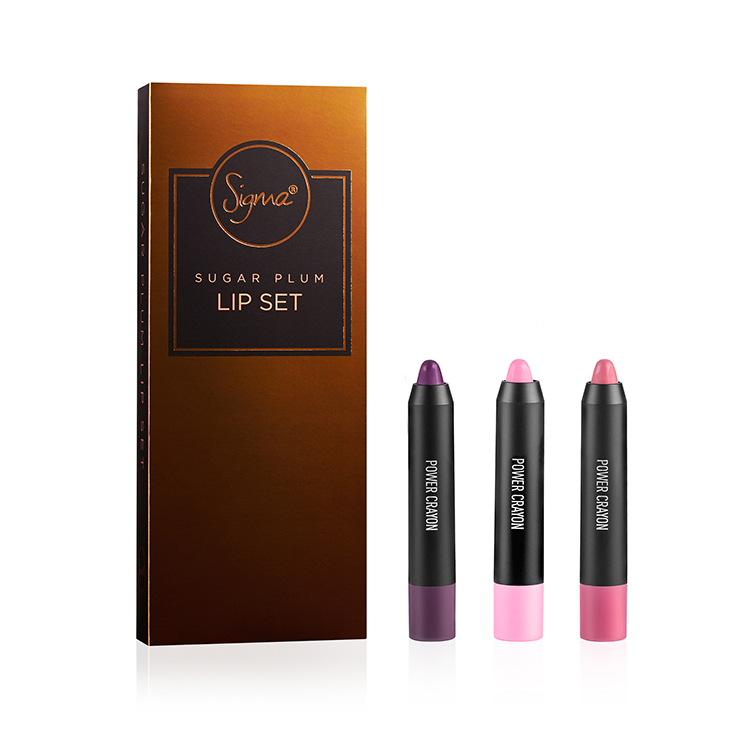 SUGAR PLUM LIP SET - contains three of Sigma's top-selling, high pigment Power Crayons, hand-selected to mimic the merriment of the season. Perfect your pout with gorgeous shades that can be worn alone or mixed-and-matched to create a custom look for any occasion. The twist-up crayon makes application easy and the long-wear, moisturizing formula keeps lips happy and hydrated. COPPER BELLE DUO - is a must-have staple for every makeup collection. 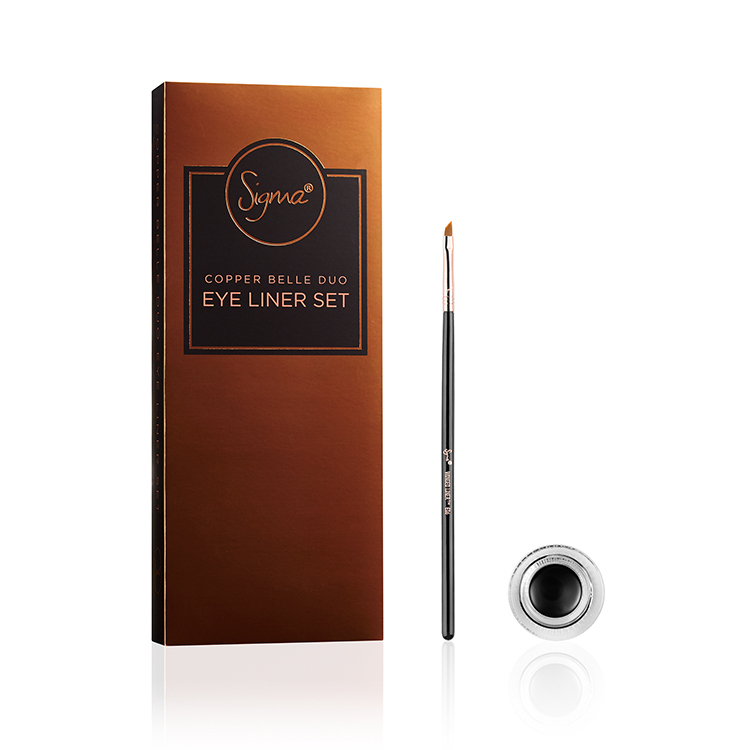 Sigma's ultra-black Wicked Gel Liner features a smooth and long-wearing formula, ideal for creating any eye look. The E06 Winged Liner(TM) Brush features a small angled brush head that gives you extreme precision for creating a crisp, clean wing on any eye shape. With this dynamic duo you will be the belle of the ball all year long. 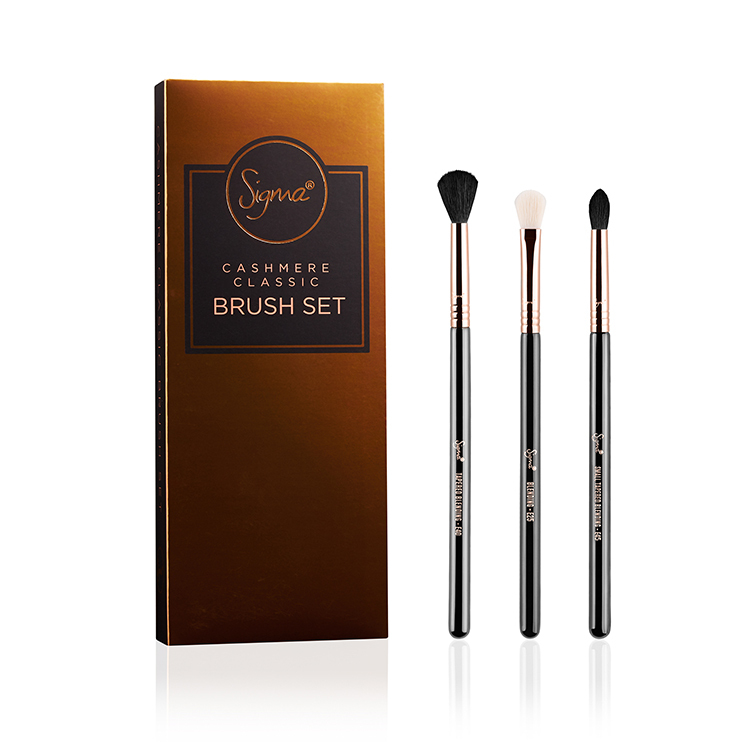 CASHMERE CLASSIC BRUSH SET - Blend to perfection with the Cashmere Classic Brush Set featuring three of Sigma's best-selling eye blending brushes. Blend and soften with the E25, add depth to the crease with the E45, and use the E40 for a diffused and blended finish. Made with exclusive SigmaTech(TM) fibers and copper-plated ferrules, these brushes will allow you to create a soft look, a smokey eye, and everything in between. 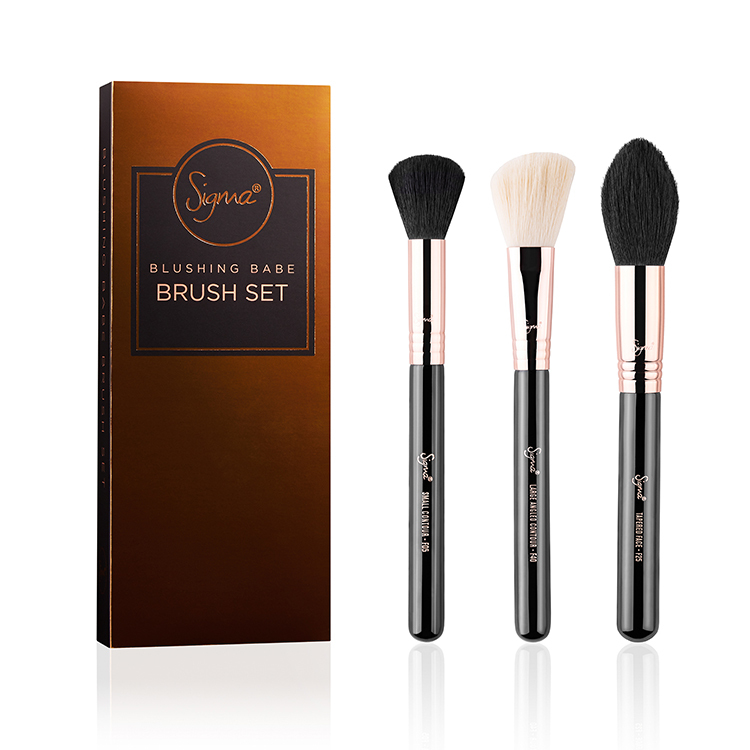 BLUSHING BABE BRUSH SET - features three gorgeous copper-plated brushes, must-haves for creating the perfect cheek look. 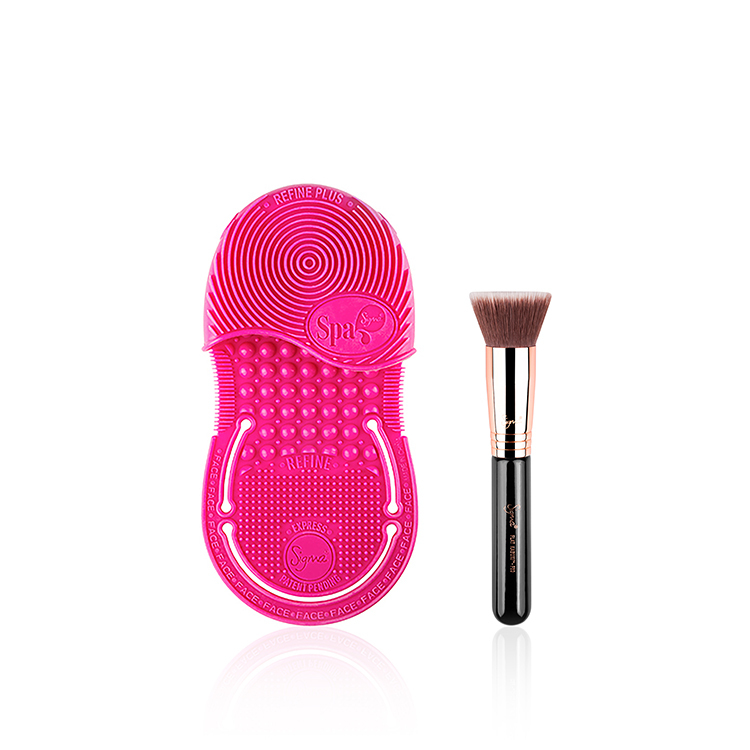 Contour to perfection with the F05 Small Contour Brush, use the F25 Tapered Face Brush to add soft bronzing or highlighting, and apply your favorite color with the F40 Large Angled Contour Brush. These Sigma favorites will take you from a polished day look to party-ready. THE CLASSIC EXPRESS DUO - Sigma's all-time, best-selling brush meets most-wanted brush care in the Sigma Classic Express Duo. The award-winning copper F80 Flat Kabuki™ creates an airbrushed effect with exclusive Sigmax™ fibers. The Sigma Spa® Express Cleaning Glove deep cleans makeup brushes with seven patented textures in one convenient device. THE CLASSIC CLEAN DUO - Keep your makeup brushes looking fresh and new with the Classic Clean Duo. The best-selling Sigma Spa® Brush Cleaning Mat features 7 patented textures to deeply clean brushes and banish bacteria. 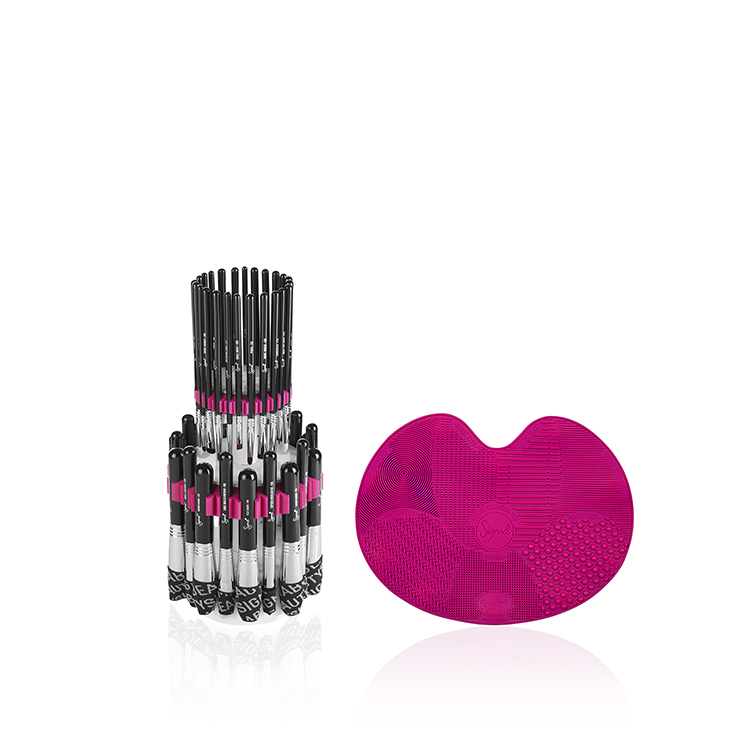 The revolutionary Sigma Dry'n Shape® Tower Face + Eyes completely dries and reshapes your brushes using patented technology. With this duo, cleaning your brushes has never been faster or more fun. What are you planning to buy for this Holiday ??? 3 comments on "🎁 Your Guide To Holiday 🎁 [Part-I]"
I always wanted to try sigma beauty products. I heard their brushes are dope!